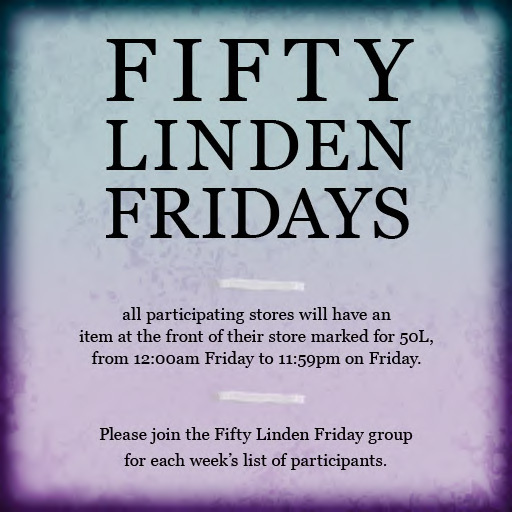 Every Friday, a group of designers will place an item in the front of their mainstore marked down for 50L. The item might be something from the store marked down, or maybe an exclusive, special item. Each week the designers and items will rotate. The items will be available from 12am SLT on Friday until 11:59pm SLT on Friday. ← Puddles CLOSING SALE! ENDS TODAY!